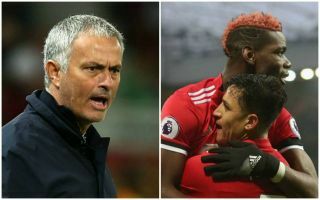 Manchester United manager Jose Mourinho and forward Alexis Sanchez are among two high profile names in football to have been recently charged with tax evasion. According to the Metro, the Portuguese tactician accepted a charge earlier this year, leading to a suspended sentence, which means no time behind bars unless he commits another crime in the next two years, such is Spanish law. Not so long ago, El Periodico also stated Sanchez was being investigated by a Barcelona court, with the Chile international one of many players past and present found to have got in trouble over their finances during their time on Barca’s books. This spate of high-profile names in football comes as Spain tighten up their tax laws, with the likes of Cristiano Ronaldo, Lionel Messi and Javier Mascherano have also been found guilty of tax evasion in recent times. If they ever find themselves facing similar allegations in the UK, they’ll no doubt be on the lookout for the best London criminal defence solicitors to help them out of trouble. Mourinho was reported to have accepted charges of using offshore bank accounts to get out of paying the proper amount of tax, according to the Metro. The 55-year-old has had a difficult season with United this term, as has one of his biggest signings since taking over United, with Sanchez proving a spectacular flop at Old Trafford. Still, both will be happy to have avoided more serious punishment for their alleged tax offences in the past, while the club itself looks squeaky clean in comparison to their rivals Manchester City after recent Football Leaks revelations made by Der Spiegel. City’s financial situation in general seems pretty dodgy as their owners may have breached Financial Fair Play regulations in recent times, which it has been suggested could lead to calls for them to be banned from the Champions League. These cases clearly show football needs to clean up its act somewhat, with far too much corruption going on at the highest level of the game. Mourinho will no doubt be one of the highest paid managers in the world right now, and could even receive a payout of as much as £15m if he’s sacked by the Red Devils any time soon. Sanchez, meanwhile, makes £500,000 a week, making him by far the highest paid player in the Premier League. Why these two need to be fiddling their accounts to keep even more of their considerable wealth is beyond us!